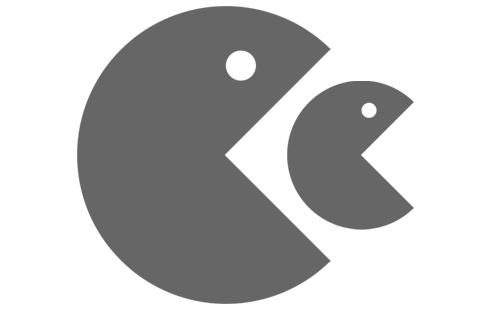 It is dangerous for a PEO to cannibalize its channel partners. Using channel partnerships as part of a go-to-market strategy has advantages. Many PEOs have chosen a channel approach to source new prospective business. A channel approach, when it is right for a PEO, is a proven method to further the prospecting reach while maintaining lower SG&A. The approach provides the PEO the opportunity to tap into a vast external sales force without the cost of supporting the corresponding overhead. Using a channel partner is a pay for performance model where the PEO outlays capital on broker commission only when a deal is closed. However, a PEO can experience billions of dollars of gross revenue growth while maintaining a smaller consultative sales force if a channel strategy is used. The most common channel utilized within the PEO industry comes in the form of insurance brokers. While many PEOs have enjoyed a symbiotic relationship with their broker channels, there are some that have made moves which have begun to erode these relationships. Essentially, some PEOs have started to cannibalize their broker channel. Some broker networks have expressed concern that there are some PEOs which have elected to directly market leads that were previously submitted via the broker channel. Essentially, the PEO evaluates the deal through the broker in year one, and if the deal isn’t written, then goes direct to the prospect in year two, without the broker. Whether or not this is known at an executive level or as a result of independent action by the sales force, the channel relationship will suffer. I can imagine why this practice would be tempting. A PEO that utilizes a good CRM will have a goldmine of prospect data built up over the years. From the PEO’s perspective, these may appear as untapped leads, ripe for the picking. In addition, not all brokers are created equal. Some brokers, especially those that do not control the submitted account, may not market the account the following year. However, it is a slippery slope to make any assumption without consulting first with the channel partner. Moreover, a PEO should vet its prospective channel partners (i.e. brokers) prior to conducting business so that is assures it is dealing with reputable channel partners. When a PEO markets an account directly, which was previously submitted by a channel partner, it runs the risk of destroying the channel relationship. This equates to short-term thinking. Even if a PEO is migrating from a channel strategy to a direct sales strategy, it shouldn’t leave collateral damage along the road of transition through poor practices. First off, a broker doesn’t indefinitely own a lead. The idea that a broker indefinitely owns a lead on an account they don’t control is nonsense. However, when a lead is first received by a broker partner, it is the broker that pounded the pavement to bring that lead to the PEO. That effort should be honored. The PEO is saving SG&A by using a broker channel. To then usurp the broker out of convenience or from a desire for higher profit margins is a sub par practice. An account that has been submitted by a broker, which wasn’t written in the year it was submitted, should then be reviewed the following year with that broker’s knowledge. A PEO should want to revisit a desirable account, which wasn’t written the prior year, in year two. How it goes about doing so will either strengthen their channel relationships or destroy them. To be clear, an account is often submitted by multiple brokers. This article is not addressing that scenario. Instead, we are referring to an account that was submitted by a single broker and then was marketed directly by the PEO the following year. In this scenario, it is advised that the PEO contact the broker prior to re-marketing the account. This gives the broker the option as to whether they want to be involved again in the process. If the answer is no, then the account is fair game. The PEO has the right to pursue new business and they wouldn’t have an opportunity to pursue the account through the broker since the broker wasn’t going to submit it to the PEO. However, if the answer from the broker is yes, the PEO should provide a timeline for the submission to be received and then market that account through the broker in the second year. If the broker cannot obtain the requisite information for a complete submission in the second year, then the PEO may seek to market it directly. This depends on how the PEO defines its protocol. Regardless, the protocol should be clear to internal players and external channel partners. The bottom-line is that the broker should have the option and opportunity to remain involved. It is hard work cultivating new leads for a broker. What is a PEO telling their channel partner when they circumvent them in the second year to go direct to an account? Basically, that the relationship isn’t valuable. That the PEO only cares about itself. That you better write the account the first year or your out. None of these statements conveys partnership. When a PEO writes an account directly, which a broker submitted the prior year, it destroys the brokers confidence in the relationship. Ultimately, this will sever the relationship or at the very least, create a level of distrust. As this practice continues, the PEO brands itself poorly with the broker community. Long-term, this creates a problem for the PEO if they choose a channel strategy. Ultimately, top brokers will not work with the PEO. This leaves the PEO with poor channel selection where only the bottom brokers will continue to work with the PEO. Meaning, lead volume and quality will suffer. If a PEO is going to utilize a channel strategy, it should have clear protocol as to how it will approach leads in subsequent years. Defining this protocol to the internal sales staff and making it known to the channel partners will avoid confusion and future branding issues. Author: Rob Comeau is the CEO of Business Resource Center, Inc., a business consulting and M&A advisory firm to the PEO industry. Comeau has extensive experience in building channels within the PEO industry. To learn more about BRC, visit www.biz-rc.com.